Standing water can be great for wildlife. Many standing water bodies remain from previous landscapes and water usage, including mill ponds and leats, farm ponds, subsidence flashes, the array of drainage dykes, and reservoirs feeding canals or supplying water. These constitute many of the richest areas for wildlife although some are in a poor state. Ponds, ditches and stretches of old canal can be very rich in wildlife. Two thirds of all freshwater species are supported by standing water, including all our amphibians, dragonflies and many other aquatic insects and regionally scarce plants. Standing open water also provides roosting and feeding areas for wildfowl like Mallard, Teal, Coot, Moorhen, Tufted Duck, Pochard and Goosander. In the winter, visitors from more northerly climes such as the Goldeneye and Wigeon may be found. 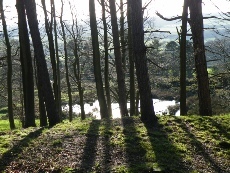 The standing water habitat in Barnsley ranges from the acidic moorland reservoirs such as Winscar, and lowland reservoirs like Worsbrough, to ponds, lakes and canals mainly in the Dearne valley, 240 ha in total. Barnsley has eight lengths of canal, 12 notable ditches, 35 ponds and numerous springs. Garden and farm ponds must number in the hundreds. Then there are eight reservoirs. 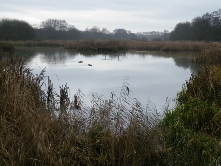 The Dearne Valley series of wetlands, in particular, supports important assemblages of species - breeding, migrant and wintering birds, scarce plants and insects. Species associated with standing water include aquatic species occurring in the water body itself (for example various fish and insect), and terrestrial species which utilise exposed sediments or use the standing water for foraging for food for example water vole, heron and various duck species. Standing water also supports species like bats that, although utilising standing water for foraging, are not necessarily reliant on them. Amphibians and mammals, like Common Toad and Water Vole, found in standing water are also reliant on other neighbouring habitats. For standing water, high water quality, seasonal fluctuation and open, unshaded habitat are identified as being very important for many species, and, for ponds in particular, wet bare mud is of high importance for some species. Ponds may fall into disuse and neglect, and may be lost as a result of development and by infilling for ‘safety’ reasons or by ‘tipping’. Manmade structures such as canals, small dams, are prone to leaks and drying out; inappropriate drainage schemes or abstraction of water may lower water levels in standing water bodies. Siltation also accounts for the loss and degradation of many ponds. Run off of organic and inorganic fertilisers can cause nutrient enrichment (eutrophication) of the water which damages plant and animal communities as does pesticide runoff. Pollution from run-off from roads, landfill, from sewage overflow and from industry, can also seriously degrade standing water habitats. The removal of waterside vegetation and reed swamp, which are effective barriers, can increase the risk of pollution and of siltation. Introduction of fish and removal of predators, leads to the loss of natural fish populations and may affect plant and invertebrate communities, which are particularly affected by heavy stocking of bottom-feeding fish such as Carp. Recreational use of water bodies can cause disturbance to wildlife, damage to vegetation, and degradation of habitats through bank erosion, trampling and stirring up sediment. Introduced, non-native species can have a devastating effect on the natural balance of standing water and adjacent habitat ecosystems. Maintaining natural processes and not intervening too much. Maintaining semi-natural habitats, retaining natural bank side cover; managing any grazing carefully. Maintaining the range of different features and niches of the standing water habitat including the profiles of natural banks. Maintaining water quality and natural seasonal water levels. If dredging, removing weed, clearing banks, tree or shrub pruning or bank profiling is necessary, measures taken should be proportionate and not affect all of the water body at any one time. Clearing any plant material removed from the pond from the bank of the pond to prevent leaching into the water as the material rots. Minimising disturbance resulting from recreational use. Preventing farm nutrient runoff and other forms of pollution. Controlling or removing invasive plants. 50% of the UK’s ponds were lost in the 20th century; 80% of those remaining are in a poor state. Other ponds, lakes, and other standing water, have some legal protection through being within areas designated as Local Nature Reserves for example Dearne Valley country park, …. Other ponds, lakes, stretches of canal, and indeed reservoirs in Barnsley are in areas designated as local wildlife sites and therefore there is a presumption against development or change of use when planning consent is required. Specific wildlife species of ponds and standing water are given protection under the Wildlife and Countryside Act. Licences are required from Natural England for great crested newts, including for pond dipping where great crested newts are known to be present. The Dearne Valley flood plains from Darton to Bolton on Dearne have a significant number of subsidence flashes, scrapes, residual water bodies and seasonally flooded areas. The largest numbers - and area covered - are around Old Moor, Broomhill Flash, Edderthorpe, Houghton, and now Adwick washlands. in the west, around Carlecotes, Hazelehead, the north and south of Penistone, Cannon Hall, and Tin Mill and Wortley Top. in the east, around Royston, Cudworth Common, and between Elsecar and Corton wood. Stretches of the Barnsley canal can still be found near Royston, Monk Bretton and Wilthorpe Marsh and the Dearne and Dove Canal near Wombwell, with two spurs near Worsbrough and Elsecar. Landowners including private estates, trusts, reserves, farmers and individuals, as well as Barnsley Council, Yorkshire Water and the Environment Agency: seek the best results for wildlife by following best practice in managing ponds and standing water. Also to take up opportunities to create standing water habitats, including where this can help sustainable drainage and flood prevention. The Environment Agency has identified areas in which new wetland creation would reduce flood risk. Environment Agency, RSPB, Barnsley Council and others are working to improve wetlands and provide more seasonal standing water in the Dearne valley, in NIA and flood defence work. 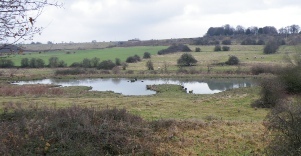 A number of organisations including land fill bodies may offer grants for habitat improvement involving standing water. Environment Agency, Natural England, Barnsley council, RSPB: offer advice. Barnsley council as planning authority: sets conditions in planning approvals to ensure in relevant cases that the biodiversity value of ponds and standing water is maintained and enhanced. Voluntary groups and volunteers: help with conservation work of water courses and their surroundings. Local groups and volunteers: help provide information about the condition of our ponds and standing water and collect records of the wildlife there. 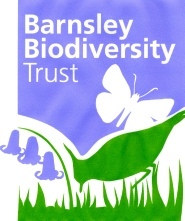 Raise awareness of the importance of standing water for biodiversity in Barnsley. amphibians: common toad, common frog, great crested newt. Seek to create appropriate links and corridors between standing water habitat sites. managing sites for their invertebrate, amphibian, mammal, bird and plant interest as a whole. Promote surveys to identify the extent of the spread of invasive species and control/removal of invasive species where they are causing particular harm to biodiversity and the habitat. Habitat improvement involving scrapes and pools in Dearne Valley. Invasive species in ponds and canals in Lower Barugh, Wilthorpe Marsh, Cudworth Common, … removed and controlled. Additional ponds identified for designation, protected and conserved. 30 Local Wildlife Sites include ponds, two contain stretches of canal, six reservoirs and two artificial lakes. Standing water is a local priority habitat; we recognise that all standing water can be valuable habitat for wildlife. Standing open water is a broad UK BAP habitat category and standing water is identified in Phase 1 habitat surveys.. It includes: lakes, reservoirs, ponds, flooded pits, subsistence flashes, water-filled ditches, and canals. water bodies less than 2ha in size, including ditches and canals. exceptionally rich sites for wetland plants (≥30 species) or aquatic macroinvertebrates (≥50 species). The criteria for other standing water national priority habitats are probably not met in Barnsley. However all standing water that supports priority species - of high conservation importance, good populations of other key species or provides a rich site for wetland plants or invertebrates is a local priority habitat. a good assemblage of dragonfly or damselfly species breeding in the water body. Most LWSs are designated for their overall habitat rather than these criteria. Amphibians: Ponds and standing water support the amphibian species found in Barnsley: Common Toad, Common Frog, Smooth Newt, Palmate Newt, Great Crested Newt. Fish. Some sites support fish including Eel. The presence of fish can however prohibit the presence of some other species. Reptiles: Grass Snake is sometimes present in larger ponds in an appropriate wider habitat. Invertebrates: Bottom-dwelling invertebrates such as snails, dragonflies, water beetles and many other aquatic insects are found in ponds. Plants: Regionally scarce plants such as Autumnal Water Starwort, Frogbit, Whorled Water Milfoil, Hair-like Pondweed, the nationally scarce Sweet Flag and the well-known Marsh Marigold. Mammals. Mammals such as Water Vole, Daubenton’s Bat and Soprano Pipistrelle are all heavily dependent on larger ponds and canals. Noctule Bat also feed over standing water. Birds. Ponds and standing water provide foraging areas for breeding, migrating and overwintering birds, especially waders and waterfowl.